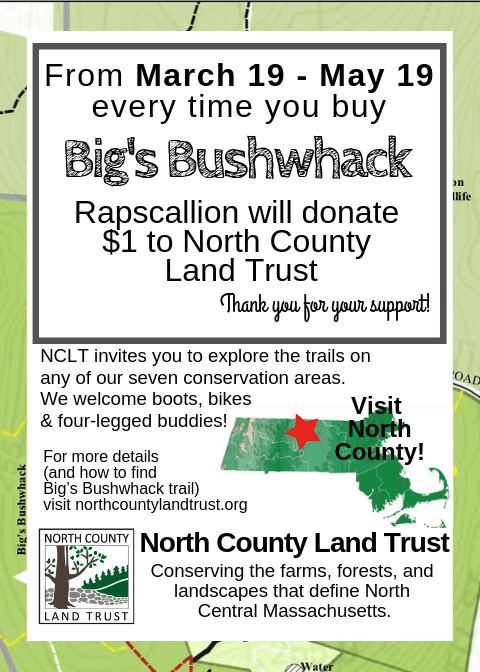 We are so excited to announce that between March 19 and May 19 when you visit Rapscallion at either of their Acton or Concord locations, you can support North County Land Trust with the purchase of a Big’s Bushwhack beer! During this time, our friends at Rapscallion are generously donating $1 of each Big’s Bushwhack beer purchase to North County Land Trust. All the funds raised will go directly to our conservation and stewardship efforts in North Central MA. 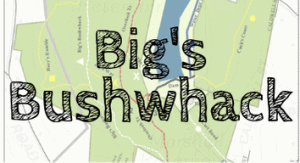 In honor of our founding father, Bigelow Crocker– and one of our favorite trails– we’re naming our honorary beer “Big’s Bushwhack”. We cannot say enough how much we appreciate this opportunity to partner with Rapscallion to raise much needed funds for conservation in Massachusetts! THANK YOU RAPSCALLION! Visit Rapscallion at the locations below and ask for a Big’s Bushwhack on it’s own or to go with your delicious meal today!